BMW is due to take the wraps off the 7 Series customary Life Cycle Impulse (facelift) very soon. Yes, it has been that long already. The aging 7 still looks good in the current trim but that hasn’t stopped BMW from providing some tweaks to keep it fresh in the market. 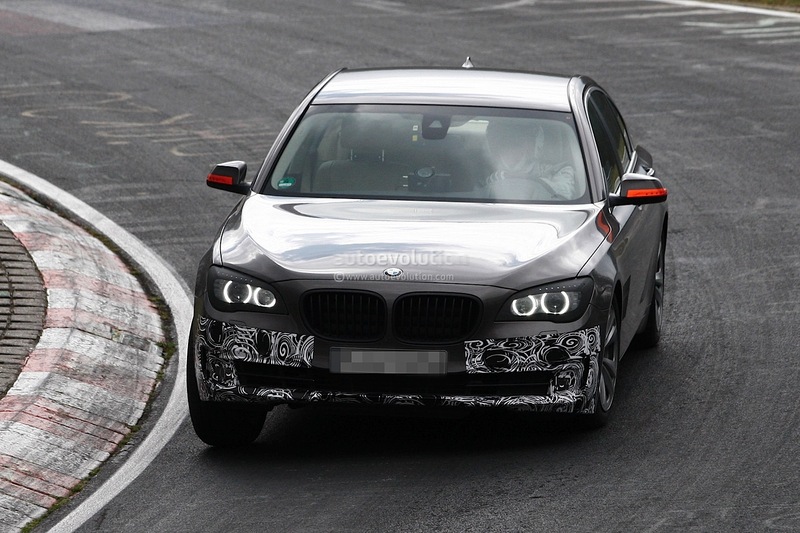 On the outside, like most BMW models getting the ‘nip, tuck, the headlights will get the latest technology. LED headlights with white LED coronas and as per EU regulations the turn indicators will now be featured in the mirror housings. The front bumper will become more inline with other offerings, meaning less bulbous curves and it will feature the now standard BMW “air curtain” to decrease turbulence around the wheels. New wheel styles and colors will round out the exterior changes. BMW will keep most items as current on the inside, with slight tweaks to material choices and the highly anticipated new iDrive controller being the most notable. The new iDrive controller, as we have discussed here previously, will feature a newly integrated touch pad on the top of the dial for inputs. Some sources believe BMW will begin to roll out the Google maps integration (like Audi has featured) with the 7 refresh and additionally, light spot technology. Light spot is a feature that utilizes the night vision system to use high intensity lights to spot light a pedestrian crossing the vehicles path. The 7 Series remains at the top of its class but with these new features and design changes it is going to be rejuvenated and should stay there for a bit longer.